Today I was watching a portion of Sal Cincotta’s workshop on CreativeLive and he mentioned an awesome Lightroom Plugin that I had never heard about. The plugin is by Photographers Toolbox and it is called LR/Blog. After hearing Sal mention it I downloaded it and gave it a try. LR/Blog was written by Timothy Armes and it is very useful little plugin. The basis of the app is that it streamlines the process of creating blog posts and uploading images. 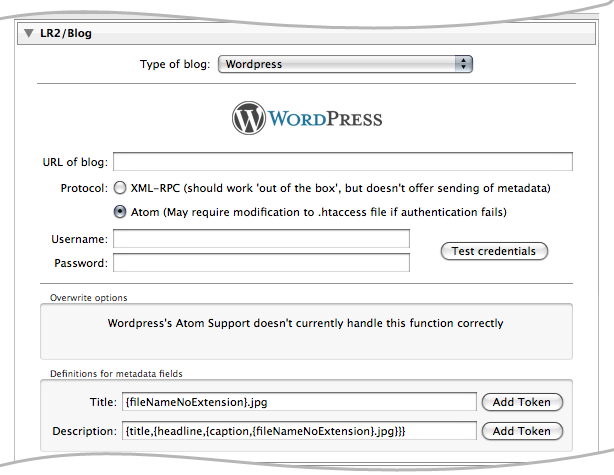 The plugin is compatible with WordPress, Blogger, and Typepad powered blogs. Being as my blog is powered by WordPress that is what I tested it with. I am pleased to announce that this plugin works flawlessly. Probably the only downside is that you may have to log in to add any custom fields that your theme uses. 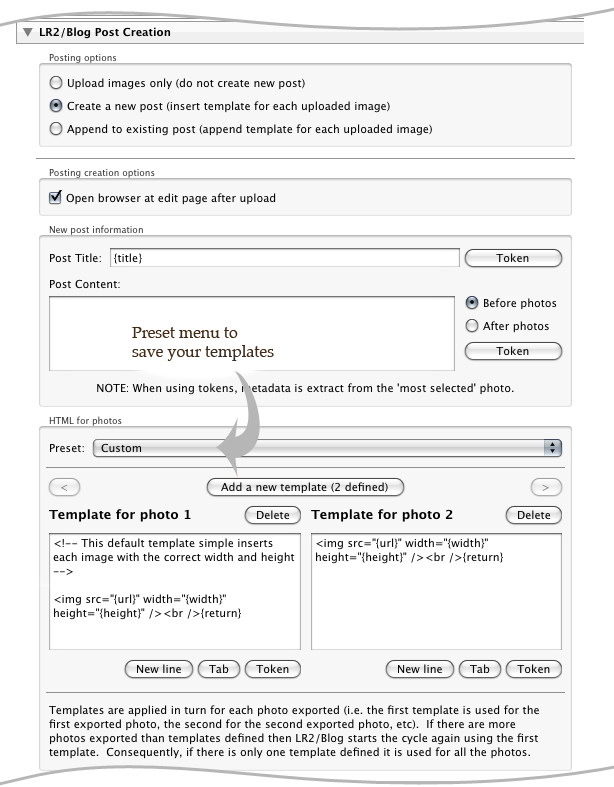 But as far as writing the content and adding images to the post this plugin works great! If you want to learn more about the app head over to the Photographers Toolbox and check it out. You can download a trial version for free or the full version is available for $12. There’s some other great plug-ins for Lightroom users at The Photographers Toolbox including LR/Enfuse for blending images & Mogrify for adding borders & text to images. Also have to mention Jeffrey Friedl’s website as he’s developed some awesome plug-ins for LR including exporting to Flickr & facebook and many others for metadata control. His export plug-ins are much better than the default ones in LR.